The Imagic picture label style is noticeably different from the text labels in that they contain a flashy picture in the lower middle of the label. 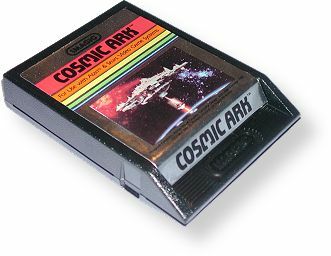 The game title is written in black across a multicolored band, and the Imagic name is embossed on the end of the cartridge. Some Imagic picture label games were also released in the text style. Most people prefer to have the picture label if given a choice, but some collectors seek both versions. Records Found: 13 Click on a column header to sort by that column. Click again to reverse sort order.